Dr. Zhitnitsky has extensive experience in state-of-the-art restorative dentistry procedures designed to correct decay and other issues so patients in and around Encino, CA, can enjoy optimal oral health at every age. "I will keep coming to their office and I will refer others!" 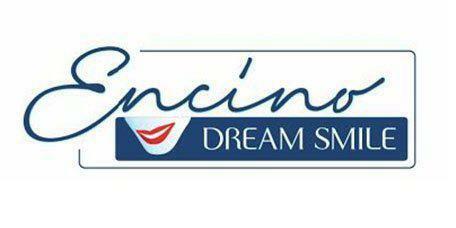 "Encino Dream Smile is the true VIP experience." "Dr. Zhinitsky will take care of you." "He did a great job in resolving my issues and his prices were very reasonable." Restorative dentistry is focused on correcting damage left by decay, trauma or disease. It includes the use of fillings, onlays, crowns and other dental devices designed to repair or replace teeth and to restore both normal function and aesthetics. What is the difference between a filling and an onlay? A filling generally refers to a restoration that's done right on site, either using a metal amalgam or a tooth-colored composite resin material to fill a cavity left by decay. Onlays are made in a lab, and they're used to correct large areas of decay or damage that aren't quite large enough to require a crown. An onlay usually is made of porcelain, and it's custom-made to fit your restoration. Onlays can also be tinted to match your tooth. What's involved in getting an onlay? As with a filling, the first step is to remove the decayed portion and clean the treatment area. Then, an impression will be made of the tooth and sent to a lab where the onlay will be made. A temporary filling will be put in place to protect the tooth while the onlay is being fabricated. At the second appointment, the temporary filling will be removed and the onlay will be adhered using a strong dental bonding agent, then gently buffed so it fits perfectly. Are onlays better than crowns? Onlays and crowns are both used to restore teeth, but they have different purposes, so it's not a question of which is “better.” A crown is used to restore teeth that have been extensively damaged by decay or trauma. The crown surrounds the entire tooth so it not only restores the healthy appearance of the tooth, but it also helps strengthen it. Onlays are used for large cavities that don't require a crown. The onlay bonding process can also help make a tooth stronger. We accept all major PPO insurance plans. For more information, please give the office a call. "Dr. Z is a really good dentist. I highly recommend this place." "I am so thankful to Dr. Zhitnitsky and his always friendly and professional staff for giving me a restful sleep"
"While I trust him because of his skill and professionalism, I most appreciate how Dr. Zhitnitsky, and his entire staff, treat all of their patients with care." "ulian and his staff are the best. They always make you feel welcomed and are sensitive to your needs. I'm always happy with the results."